The only two Michelin-starred restaurant on the gourmet island of Capri, L’Olivio showcases the best of traditional Caprese cuisine with modern twists from head chef Andrea Migliaccio. Part of the luxurious Capri Palace Hotel and Spa, the restaurant is truly culinary destination. With three separate Michelin-starred restaurants, the small island of Capri is already a culinary destination to any gourmet traveller. Complete with beautiful beaches, secluded coves and stylish towns, the island has plenty to offer, but the luxurious Capri Palace Hotel and Spa, and its two Michelin-starred restaurant, L’Olivio, is definitely a star attraction. 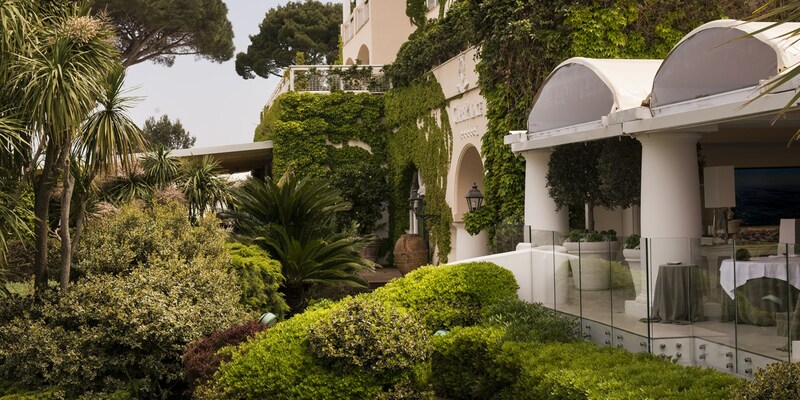 With lush gardens, a large pool and a futuristic spa, the Capri Palace Hotel is situated near the town of Anacapri. Anacapri is typically quieter than its bustling neighbour of Capri town, and makes an ideal base for exploring some of the island’s main tourist attractions, including the Blue Grotto cave and the Villa San Michele (the museum and former home of Axel Munthe, the Swedish writer and physician working during the 1800s). The chairlift up Monte Solaro is also based here, providing one of the best viewing points on the island, looking out to the Bay of Naples and beyond. With similar views, the terrace of L’Olivio restaurant within the Capri Palace Hotel is one of the best places to dine on the island. Capri’s only two Michelin-starred restaurant offers refined dining from chef Andrea Migliaccio in the stylish surroundings of the restaurant’s expansive dining rooms. With crisp white linen and neutral tones throughout, the restaurant oozes fine dining luxury, but with comfy sofas and warm lighting to create a more relaxed ambience. Quirky decorations with sea-theme also add a bit of fun to the dining room, and nod to the close proximity of the Gulf of Naples. 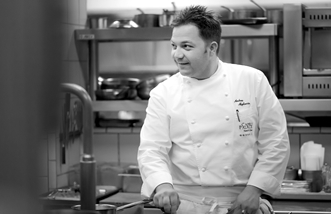 Head chef Andrea hails from the small island of Ischia, just north of Capri, and has grown up surrounded by the fresh produce and culinary style of the region. With a deep respect for these ingredients, and with a nod to traditional recipes, Andrea has created a menu that takes these raw elements and evolves them into stunning and innovative dishes. Diners can expect dishes such as his Ischia-style rabbit, which harks back to his own island roots, or a traditional passata recipe, enhanced with mozzarella and pesto. The Capri Palace Hotel and Spa is a seasonal resort and closes from November to March each year. The Capri Palace Hotel and Spa has fifty private speedboats which can be hired to provide luxurious transportation to the island. Alternatively, there are hydrofoils and ferries available from Naples. For an even more extravagant arrival, guests can arrive by helicopter to the port in Anacapri. The beautiful venue of L’Olivio can be hired for spectacular weddings or events, with options to host parties in the restaurant, and/or on the terrace overlooking the Bay of Naples. 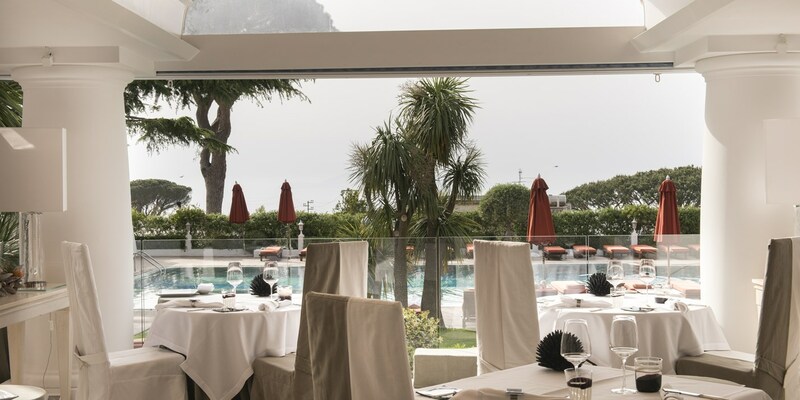 The Capri Palace Hotel also owns Il Riccio restaurant, a one Michelin-starred restaurant and beach club right on the coast – just a short journey from Ana Capri. 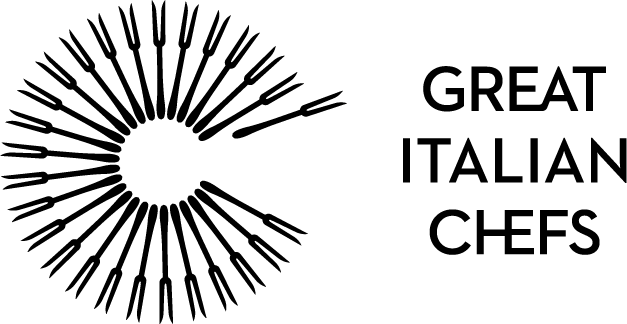 Capri is home to some of Italy’s greatest chefs. The small island off the coast of Naples is home to the freshest fish, juiciest tomatoes and sweetest lemons in the country, making those who get to work there the envy of cooks across the country. But if there’s one restaurant in Capri that’s the most well respected of all, it has to be L’Olivo at the Capri Palace Hotel and Spa, run by Andrea Migliaccio.